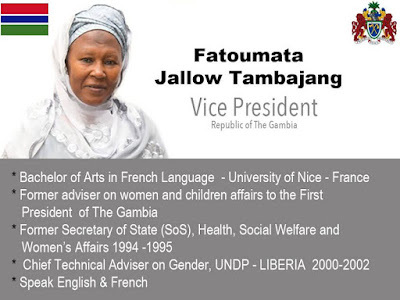 Ajaratou Fatoumata Tambajang has been appointed as Vice President of The Republic of The Gambia. Tambajang, a prominent pro-democracy activist was part of the opposition coalition that unseated long time ruler Yahya Jammeh. She is touted as one of the main brains behind the formation of a coalition going into the December 1, 2016 polls. Her appointment was announced on Monday by Halifa Sallah, the spokesperson of President Adama Barrow at a Press Conference held in Banjul. 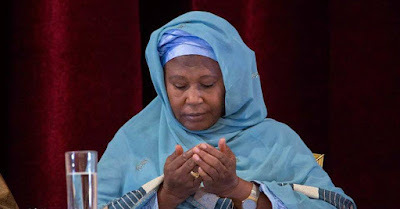 Born in on October 22, 1949 in Brikama, Gambia, the mother of eight was a former United Nations Development Program (UNDP) gender/development expert also served as a cabinet minister in the government of Yahya Jammeh. She was Minister of Health, Social Welfare and Women’s Affairs.